Letitia Wright took home the Rising Star Award at the British Academy of Film and Television Arts awards Sunday night. After her win, the "Black Panther" star opened up about her struggle to get there. Wright made BAFTA's Breakthrough Brits list in 2015 and has since starred in "Black Mirror," and the back-to-back Marvel blockbusters "Black Panther" and "Avengers: Infinity War." (Marvel Studios) Lettia Wright in the movie "Black Panther." 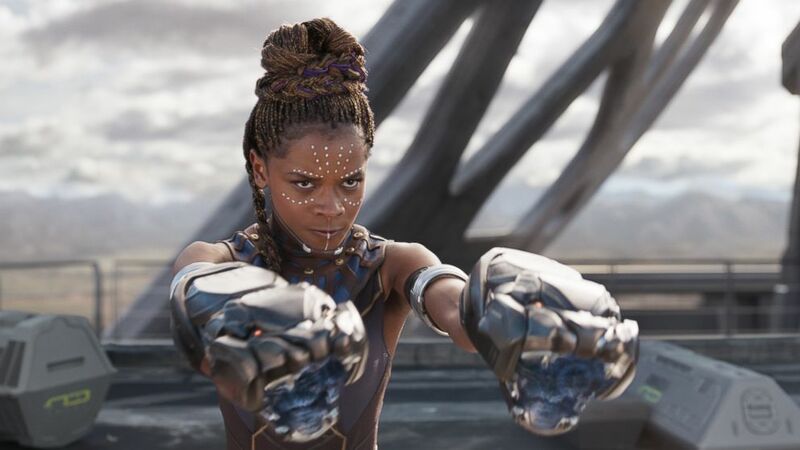 In trailers for the upcoming "Avengers: Endgame," her character is presumed missing after half the galaxy vanished, but Marvel may have a few tricks up its sleeve just yet for the younger, genius sister of the Black Panther. Now, looking back, Wright acknowledges the importance of her bumpy journey and says she's thankful that she's stayed on course. "This wasn't an overnight thing, this wasn't a click of a finger success, and I'm still a work in progress, but I want to thank God, my family, my team," she said. "I want to thank everybody who said yes to me, that gave me a chance and just saw my talent and saw what God placed in me, and said 'yes.'" After Wright's win, her "Black Panther" co-star Lupita Nyong'o congratulated her, posting a photo of the actress holding her trophy. "Living life and winning at it! Congrats Baby Underbite!!" Nyong'o, an Oscar winner, added. The topic of mental illness has been one several artists and actors have been championing and trying to raise awareness to. Lady Gaga won a few Grammys on Sunday and gave one of her speeches on mental health. "I'm so proud to be a part of a movie that addresses mental health issues," she said about "A Star Is Born." "They're so important. A lot of artists deal with that, and we've got to take care of each other." "If you see someone hurting, don't look away," she said, trying to remove the stigma of the very real disease and speak for a cause close to her own heart. Fellow actress Taraji P. Henson spoke out on "GMA" last year and also said the stigma of mental illness needs to be left in the past once and for all. "I’m here to tell you, I have a therapist. I probably need to see her more often," she explained. "Black Panther" is up for several Oscars later this month, including best picture.